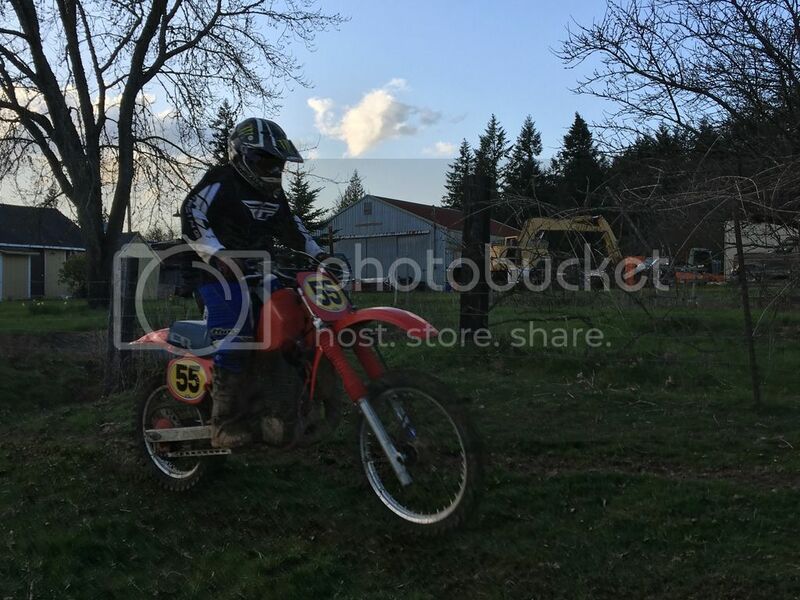 Board index OEM-Cycle Dirt Bike Discussion Forum What do you ride? So I was attracted to this site by "The Beast" build & the fact that Mike is from PNW. As am I & my boys. I'm now mid fifties w/titanium joints. Probably from riding/racing/crashing & starting big bore 2 strokes for 35 years. Mid 80's I mounted a paddle tire to my 480 & ruled comp. hill @ Florence. 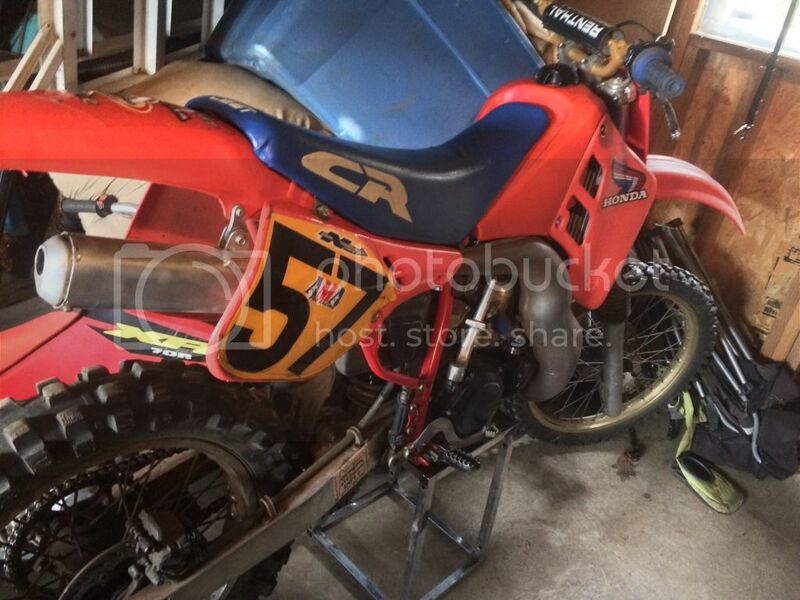 My oldest used our 87' CR500 rebuild as his Sr, project in HS. My 14 yr old prefers our CR480 @ moment. While I've never ridden the silky smooth KX5-Honey, I saw Jeff Ward master the SR500 @ Washougal National several times. So I'm the team owner & we love big bores. 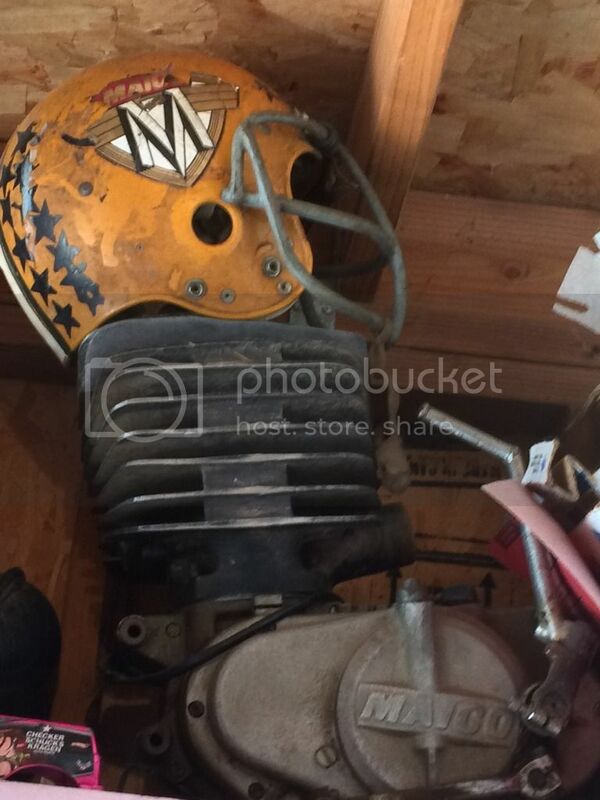 Pics of 78' Maico 440 motor on my garage shelf; we've got frame swingarm shocks & forks. The 87' during HS project rebuild. My 14 yr. old Max flyin' the 480 & 87' in garage. Yes I know it should be green. Last edited by BigTerry on Wed Apr 25, 2018 1:56 am, edited 2 times in total. My 14 yr old Max lovin' the torque. Last edited by BigTerry on Wed Apr 25, 2018 1:52 am, edited 1 time in total. 87' 'CR5-Honey rebuild for sons HS project. I love all older big bore 2t's so your at home here. While I specialize in KX500's I also dabble in CR500's. This one I built the top end on a couple of years ago and it won last years championship.. The one I recently built him is going to be much fast. If bikes are for kids I'll never grow up. Kwazy Kart for sure Mike. What gearing ? Top speed ? Dyno #'s ? In an effort to make our 87' more manageable for the boys we went up one in front & down 2 in rear. They've learned to ride the torque wave. Currently It only uses third gear with a neutral on either side. Drive ratio to the ground? No idea I'd have to find out what sprockets they are currently using for what track. Top speed before we modded the transmission was approximately 90. If we just wanted to see how fast we could make it, well over 100 with simple gearing changes. Now that it only has 3rd gear, again depending on the gearing they are running I'm guessing about 50-65. I could only guess but likely 75ish at the crank. The new top end will certainly make more, and if they wanted to change the carb, exhaust flange, and a few others things, even more. We can easily give them more HP then they can use. The real key is the torque values and at what RPM making the Kart easier to drive. An auto one speed . Very ingenious Only on a B.B. Smoker. I just approved you on FB. For the Yoda of CR500 stuff, you want to become friends with Adam MillAr yes, Capitol A in his last name. 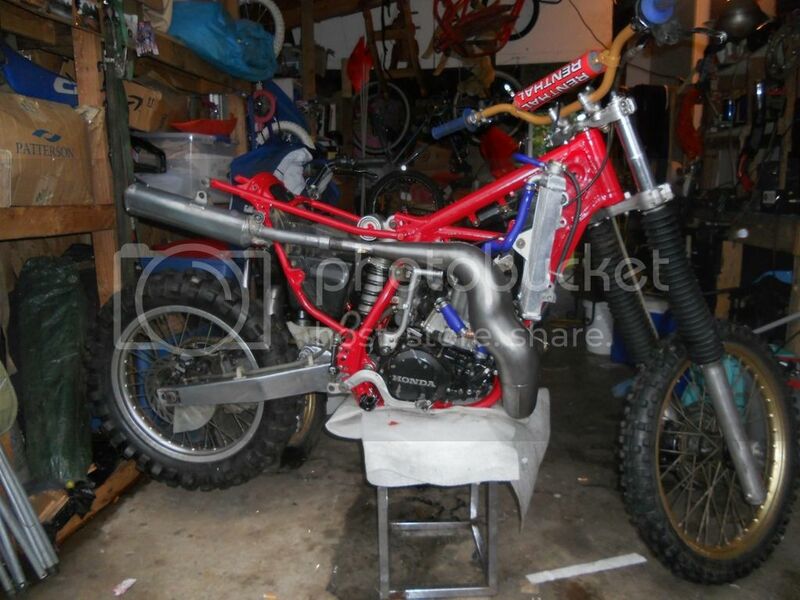 The guy is a Honda BB Genius..
Mike I gotta' tell ya' I'm absolutely Jonesing on the KTM/500 KX motor PROJECT !! Please can we have an update ? In other news...The BRC 500 DEAL SURE LOOKS INTERESTING. Well.... There has been progress but it's minimal..